On Thursday(March 21st) Kate Hudson attended and hosted private dinner for her line Fabletics in London at a private residence. The dinner celebrated the line’s first retail store in collaboration with POPfit. 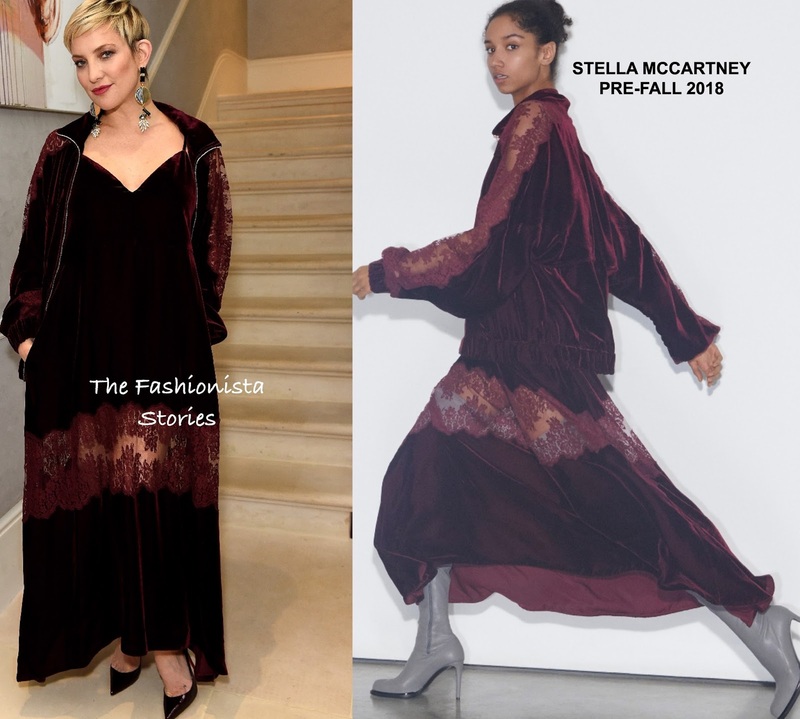 For the occasion, she wore a STELLA MCCARTNEY PRE-FALL 2028 burgundy velvet & lace panel bomber jacket with the matching v-neck, ankle length dress. I like the sporty feeling of her ensemble which she teamed with ADEAM SPRING 2018 earrings and black CHRISTIAN LOUBOUTIN pumps. She capped off her look with a flawless beauty look.